Egyptian President Abdel Fattah Sisi was the first leader to congratulate Donald Trump on winning the US presidential election. CAIRO (Sputnik) – Egyptian President Abdel Fattah Sisi became the first leader to congratulate Donald Trump on being elected the next president of the United States in a phone call, the Egyptian presidential administration said on Wednesday. "Egyptian President Abdel Fattah Sisi held a phone conversation with US President-Elect Donald Trump, congratulating him on being elected US president, wished him success and luck in performing his duties … In his turn, Trump expressed gratitude to the Egyptian president, noting that it was the first international call with congratulations on winning the elections he has received," the administration said. Trump also expressed his hope to meet with Sisi in the near future. The politicians held negotiations in September when Trump was a presidential candidate. 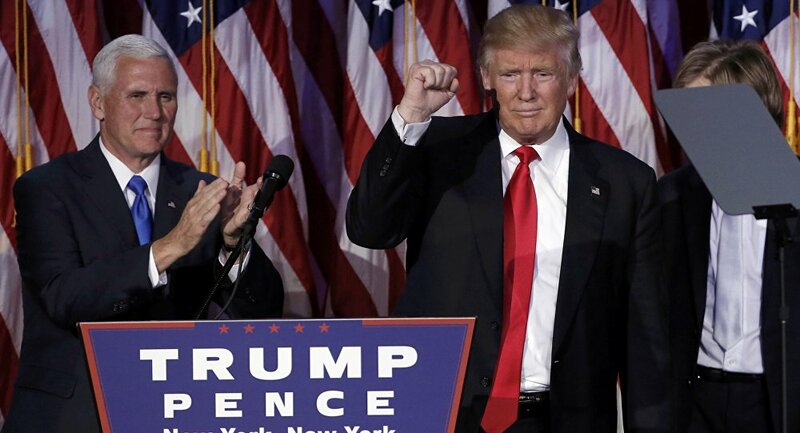 Earlier on Wednesday, Trump won the US presidential elections despite most of the analysts and opinion polls predicting his defeat to Democratic Party nominee Hillary Clinton. Trump got 276 electoral votes against Hillary Clinton's 218 votes, more than the 270 needed to win.